A semi-truck heading north crashed off of Interstate 5 near the Southcenter exit early this morning and started a small fire. The Seattle Times is reporting that the driver fell asleep at the wheel. He was pulled from the burning semi truck and taken to Harborview Medical Center. The crash happened around two in the morning. Traffic was stalled and didn't fully clear until 7:15am. No injuries have yet been reported. Are Fatigued Truck Drivers a Major Problem? 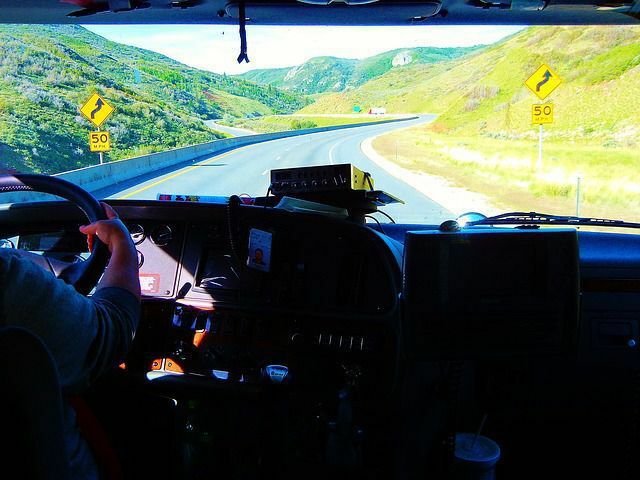 According to the American Trucking Association one out of every fifteen Americans are employed by the trucking industry. The drivers travel over 400 billion miles each year and haul 10 billion tons of stuff. Check here for even more statistics. Now think about all that freight slamming into smaller vehicles while the truck driver drowsily drifts out of his lane. Semi truck accidents send at least 20,000 people to the emergency room each year (that number includes drivers, who are driving fatigued and endangering themselves). This problem is major. Are Semi Truck Drivers Sleeping Enough? In 2013 new regulations were put on truck drivers. Among other things, the regulations were an attempt to get truckers to sleep more (hopefully avoiding situations like the one that happened this morning). But an anonymous truck driver writes candidly about his sleep cycle as a trucker, summing up the experience as more confusing than refreshing, and claiming that truckers (especially independent truckers) often get creative with their log books to meet requirements. This means scheduling instead of sleeping as long as they spend 10 hours off the road. There should be a better way to incentivize sleep for truck drivers. Because if humans can't be trusted behind the wheel of semi trucks, maybe robots can.